We’ve added an awesome new book to our bookshelf! Jacob’s New Dress came out on March 1. We’ve been waiting for it and it didn’t disappoint. This heartwarming story speaks to the unique challenges faced by boys who don’t identify with traditional gender roles. 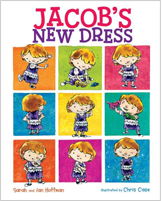 Want Jacobs’s New Dress for your bookshelf? I have a signed copy to give away! For the chance to win, leave a comment below letting us know what book(s) you think gender creative and ally families should have on their shelves. A winner will be announced on Friday. Good luck! This entry was posted in All Posts and tagged books, Gender, gender creative, gender nonconforming, Gender Stereotypes, Giveaway, Jacob's New Dress, parenting, Sarah Hoffman. Bookmark the permalink. Here is a great book which recommends many of the books mentioned and many, many more. I spent years, searching for all these books and collecting them together into one easy-to-use resource for educators and parents. I love all these selections but have yet to actually see these selections in print. I am going to peruse another book store, but virtually all selections were special orders, with the exception of a Raising My Rainbow. Has anyone else had this issue? Where did you find your books? I know the raffle is already over, but I wanted to mention Goblinheart by Brett Axel! It’s about a fairy who feels like a goblin inside, and with the help of friends and family transitions to living as a goblin; a great fantasy-based allegory for trans and gender creative kids. Related: I’m a preschool teacher and in my free time I write reviews of children’s books with anti-bias themes; many of the books I’ve reviewed are about gender non-conforming characters. (I’ve reviewed most of the ones other commenters have listed, including My Princess Boy, The Sissy Duckling, Be Who You Are, William’s Doll, What Makes A Baby, and Meet Polkadot.) I’m always looking for more books to review, so I’m going to try to find a copy of Jacob’s New Dress! Thanks for letting us know about it! Raising My Rainbow is the only book we really have. We do have a couple of books about standing up to bullies, including “One” which is great. The Bravest Knight Who Ever Lived has all the staples of an ordinary fairytale — a brave hero, a wily villain, a roaring dragon and a dreamy setting — but this story ends with a gay twist. The fairytale, written by Daniel Errico and illustrated by Mo Qovaizi, tells of Cedric, a precocious little boy who lives on a pumpkin farm and grows up to become a knight. After conquering a fire-breathing dragon and saving the prince and princess, he is honored by the king and queen. But when the princess wants his hand in marriage, Cedric reveals he is in love with the prince. How about something from the classics — Orlando by Virginia Woolf. Bean has My Princess Boy, I have Raising My Rainbow. Hoping to add more to Bean’s collection as time goes by. They’re not specifically about gender differences, but two beloved books on our shelf are: Giraffes Can’t Dance by Giles Andreae and I’d Know You Anywhere, My Love by Nancy Tillman. The first is a rhyming story with the lines: “Sometimes when you’re different, you just need a different song,” and, “We all can dance, when we find music that we love,” We have it as a board book. The second we just got in keepsake hardcover, and it tells children: “If you decide to be different one day, no worries, I’d know you anyway.” Messages I hope every child learns from their parents!! LOVE you people for coming with all kinds of suggestions:-) We LOVE books in our family!! My princess boy, Ronald Humphrey is wearing a WHAT? Thanks for the opportunity to add another great book to our shelves for us and our family and friends! OMG! I have so many books to catch up on after grad school!!!! I’m adding a comment so I am notified of future comments. Other than Raising My Rainbow (of course) I like The Sissy Duckling and Backwards Day. Raising my rainbow, Oliver button is a sissy and boy with the punk hair have become some of my favourites. I would love to add Jacob’s new dress to my list! Princess Boy, 10,000 Dresses, Be Who You Are, The Different Dragon. My libraries don’t have a lot of the books specifically for gender-creative kids. I’ve done inter-library loans to get the books I want for my kids though. I can’t wait to add more to our collection. We’re waiting on The Gender Book to come in the mail. Hopefully soon! A is for Activist, My Princess boy (of course), and the always classic T is for Tango. He also is becoming very aware of teasing. Although he is not gender creative, he is a very tenderhearted little boy who’s favorite color is pink and loves flowers. For adults, “Raising My Rainbow” can’t be shared enough. Oliver Buttons is a Sissy, The Boy Who Cried Fabulous, 10,000 Dresses, My Princess Boy and All I Want To Be Is Me. These books are amazing and my grandson loves reading them. Michael and Me, a forthcoming book that should be out through Random House by the end of the month, by Margaret Street. It is a children’s book based on a classmates perspective of having a transgender friend, and how he explains that people are beautiful no matter what, from a child’s point of view, from having a transgender classmate and friend. Full disclosure: Margaret’s a personal friend of mine. But you should still get it! Raising my Rainbow is a great book. Raising my Rainbow, My Princess Boy and Gender Made, Gender Born are all on my bookshelf! Gender Born, Gender Made. I have three copies to loan out to families and friends who interact with my pink boy. Your book is the only book I have read so far that is inspiring for gender creative families and allies. I currently work in an alternative high school which is housed on the same campus as another alternative high school, a k-12 alternative homeschool program, and a k-5 alternative elementary school (which I attended many years ago). I am very interested in this book because I think it would be a great book to have in our school library so that all of these students, families, and teachers could have access to it. I already bought a copy of your book in December and used it for the “Rainbow Alliance” gift exchange. Please let me know if there are more books that would be good for our library! The Transgender Child, Gender Born Gender Made, and William’s new doll! Oops, forgot to add Raising My Rainbow and Boy with Pink Hair are great books to have. The two books we leave out on the coffee table are “Roland Humphrey is wearing a WHAT?” and “Raising my Rainbow”. Other fave books aren’t gender related but simply ones that try to teach kids that its okay to be different and that its not okay to bully someone who is different. “Gender Born, Gender Made”, “Raising My Rainbow”, “My Princess Boy” Great books! I would love this book and My Princess Boy for my 4 y.o. gender creative son. This would be awesome for my 4 y.o. who loves to dress up! I would give it to his pre-K in fall so they have a book for gender creative children like ours. I need to get a book or two (or three…) for our collection, so thanks for the giveaway and to everyone for their suggestions! Raising My Rainbow of course! We are always looking for ways to support our childrens’ evolving and emerging understanding of themselves, not constricted by limiting gender roles. This one looks like a great book. The Boy with Pink Hair by Perez Hilton. My son and I love “My Princess Boy”. One of my favorites is “Raising My Rainbow”. My Mom is insisting that the entire family read it so they can better understand my son! Wow that looks cute! I am not really familiar with what books are out there for kids on this subject. David Walliams’ brilliant “The Boy in the Dress” is a favourite of mine, and the kids loved it too. The Boy Who Cried Fabulous, Raising My Rainbow, Super Tool Lula (The Bully-fighting Super Hero) and My Princess Boy. And the kids would love the One of a Kind Colouring Book. The Boy in the Dress by David Walliams is wonderful. Don’t worry putting me in the draw, I’m the wrong side of the Atlantic! This book and raising my Rainbow… My son is CJ and Jacob put together! 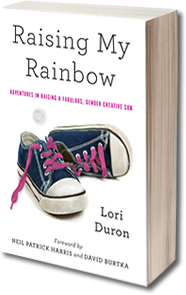 Raising my Rainbow… And I can’t wait for this book… My son IS this boy…. And CJ…rolled into one! “What Makes a Baby” by Cory Silverberg — it’s a a delightfully non-gendered take on the basics. Er. *Her gender identity, depending on what the story is and how they identify. Happy birthday to you blue kangaroo! A gorgeous story about a little girls very pink birthday party and a blue kangaroo who isn’t sure where he fits in! So far, my son and I enjoyed “My Princess Boy”. For parents, friends, family, etc.. 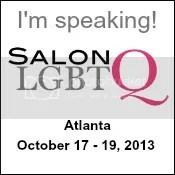 I would suggest your book; Gender Born, Gender Made; Transitions of the Heart; and The Transgender Child. Transitions of the heart is great too! Very moving! I would suggest Tales for Little Rebels which has the very early to the cause (1978) story “X: A Fabulous Child’s Story” all about toys being for any gender. The book, is nearly 300 pages of great material for revolutionary and progressive parents. Love you all…and Jacob looks GREAT in his dress. Would love this! Love “My Princess Boy”, too! “Raising My Rainbow” of course! I’ve been wanting to buy Victor’s Pink Pyjamas for my kids, and I’d love this one too!